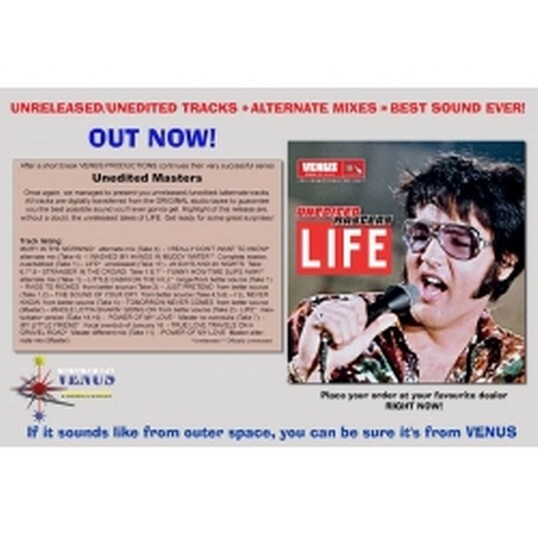 After a short break VENUS PRODUCTIONS continues their very successful series Unedited Masters Once again, we managed to present you unreleased-/unedited-/alternate tracks. All tracks are digitally transferred from the ORIGINAL studio tapes to guarantee you the best possible sound you’ll ever gonna get. Highlight of this release are, without a doubt, the unreleased takes of LIFE. Get ready for some great surprises!